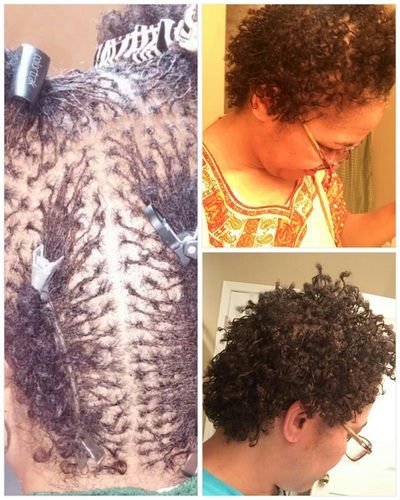 Sisterlocks™, a healthy alternative to relaxers, allows women with tight, textured hair the versatility of styling their hair in ‘Up dos, roller sets, Wrap-A-Locs, twists, Bantu Knots, or braids. 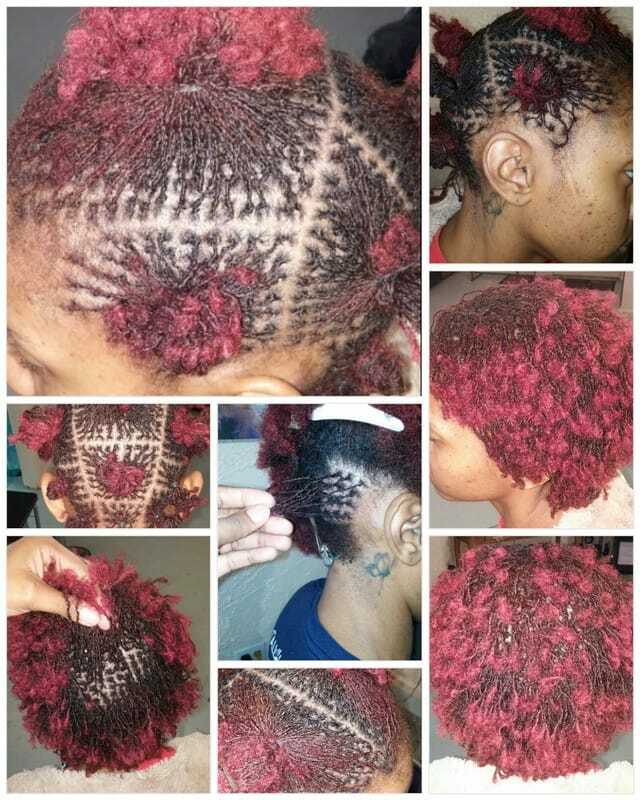 Brotherlocks™, which are larger, can be styled in cornrows, braid-outs, and more. 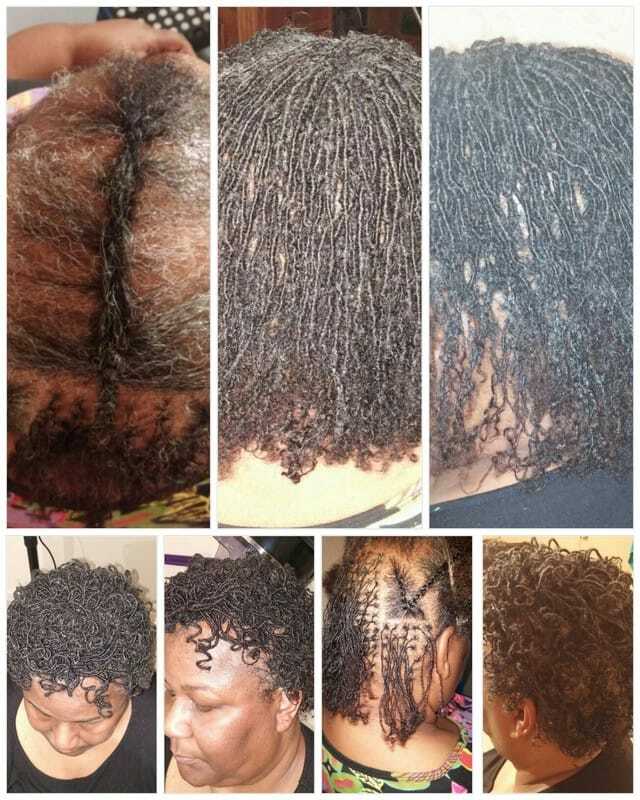 Certified Sisterlock™ Consultants undergo specialized training in Sisterlocks™ and Brotherlocks™, so you can trust you’re receiving the best care of your hair. 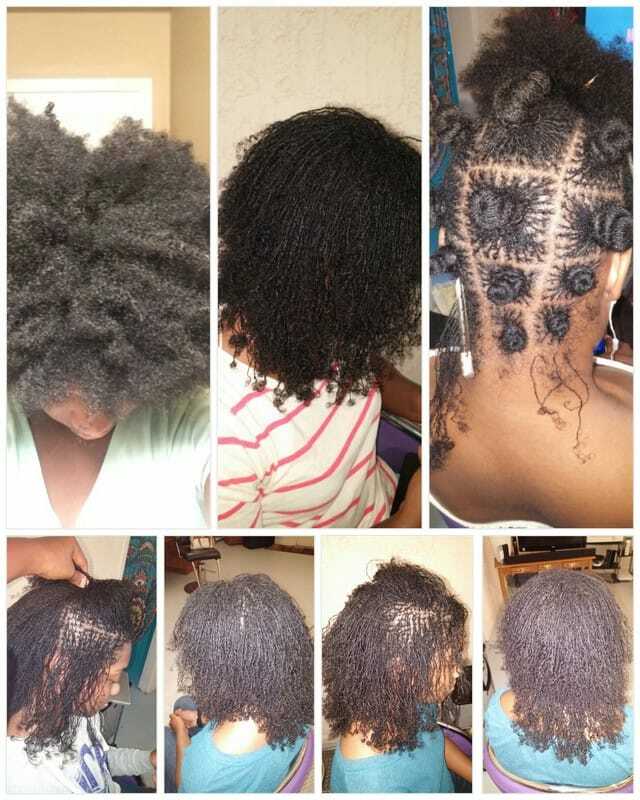 Sisterlocks™ are the locking of natural hair that allows your natural hair texture to take advantage of a wide range of today’s hairstyles without having to alter your hair. You can get Sisterlocks™ with relaxed hair as long as the there is 3 inches of new growth. 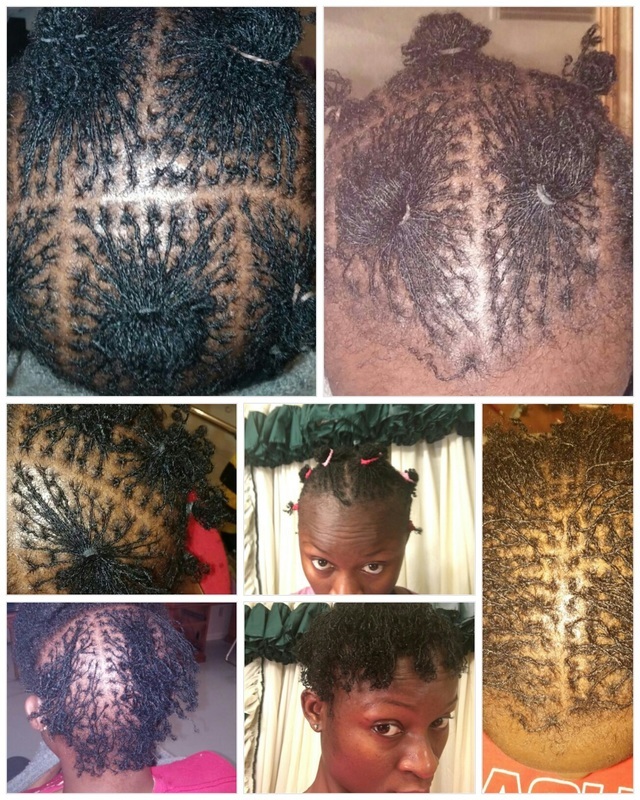 You also have a multitude of versatility with Sisterlocks™. Enjoy locs on your natural hair that is limitless. You can curl it, braid it, wear a ponytail, cut it, spray or mousse it, wear bangs and parts, updo it, color it…You Name It! The Sisterlocks™ products are to help the hair accept the locking structure in the early stages of locking. Now made with abundant botanicals, it is gentler and more effective than ever. Salon Concentrate, this shampoo works best in looser, wavy hair to deep clean and moisturize. Green Tea Concentrate, this shampoo works best in tightly coiled hair that is often hard to soften and moisturize. Dandruff Shampoo Concentrate, soothes the scalp with powerful anti-dandruff results. 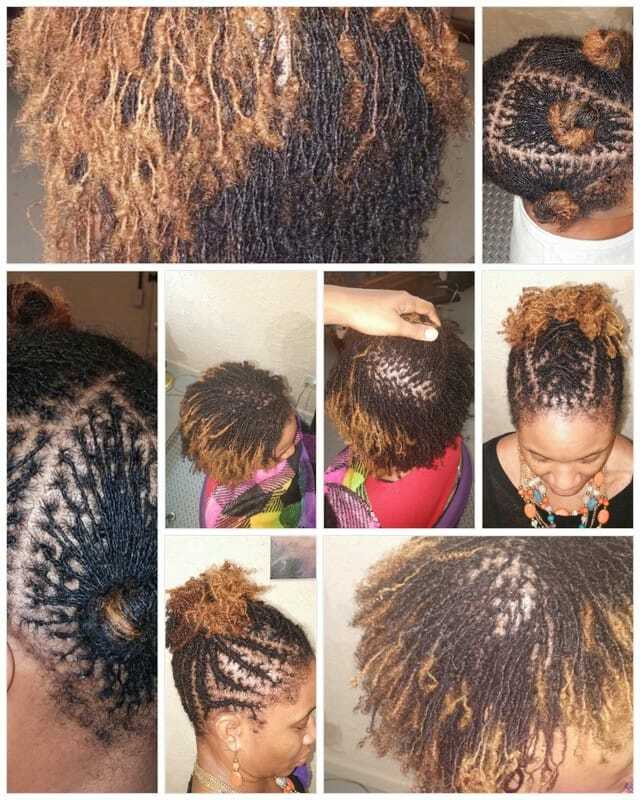 Discover your hair’s natural luster with Herbal Spray Moisturizer. It draws moisture to the strands and is unbeatable for freestyle-do’s, but you only need to use sparingly. 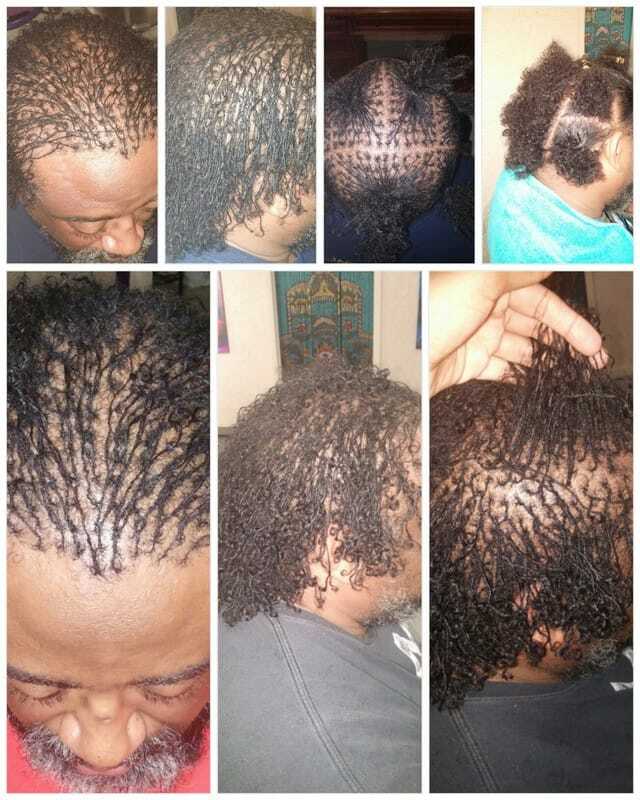 Moisture Treatment, our most popular product, works well on scalp and hair. It softens hair and washes out completely. If you need to strengthen the hair shaft our Reconstructor is designed for fragile, color-treated hair. Setting Lotion is for use very sparingly on clean, slightly damp hair then dry completely to achieve the tightest set. Styling Spray is a light, effective product that may be used during and after styling the hair. 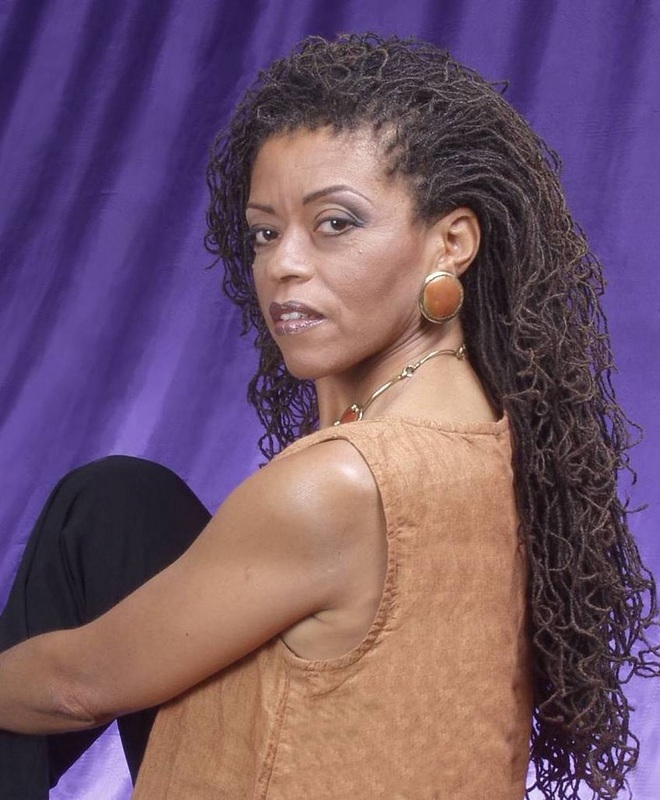 During this session I will discuss your personal hair history, your lifestyle, your styling preferences and perform a hair and scalp analysis in order to determine if Sisterlocks® is a good fit for you. 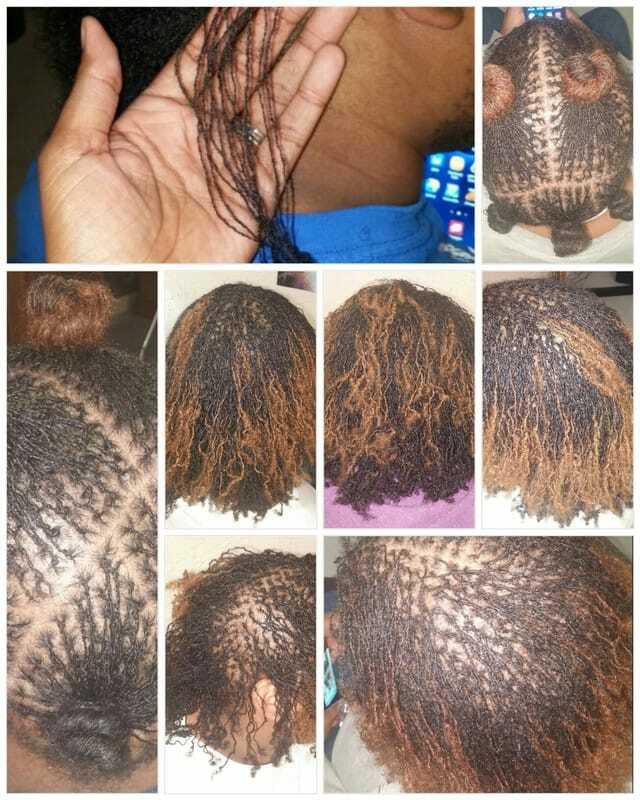 Sample locs will then be installed in your hair and may take up to 2 hours. Your hair should be washed at least 48 to 24 hours prior to your installation. Your hair should also be clean and free of any products for accurate determination of installation. There is a deposit of $100 due at the time of your consultation in order to schedule your install date. The fee goes toward your sisterlock installation package. Deposit nonrefundable for cancellations/no shows. Your appointment is then scheduled for a suitable time to perform the full installation. Bring a good book because the locking process can take from 10-20 hours or even longer in some cases. 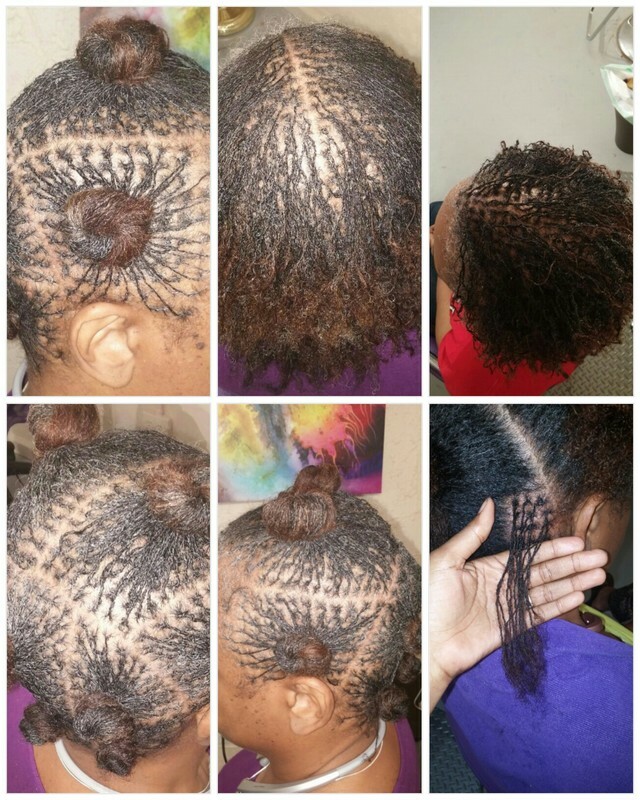 The average Sisterlocks customer will leave this session with an average of 400 locks and a whole new attitude! 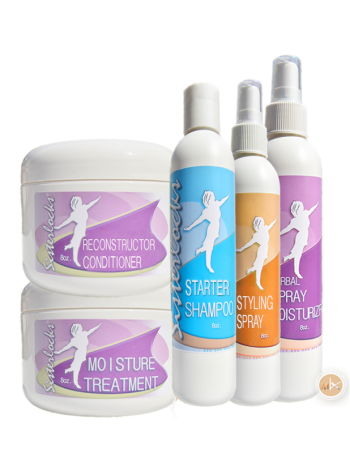 Your Consultant will provide you with a "Starter Kit" that includes the proper shampoo for starting your locks, tiny rubber bands and "tip sheets" on grooming and shampooing as your locks settle in. Be sure to schedule your follow-up visit before you leave. 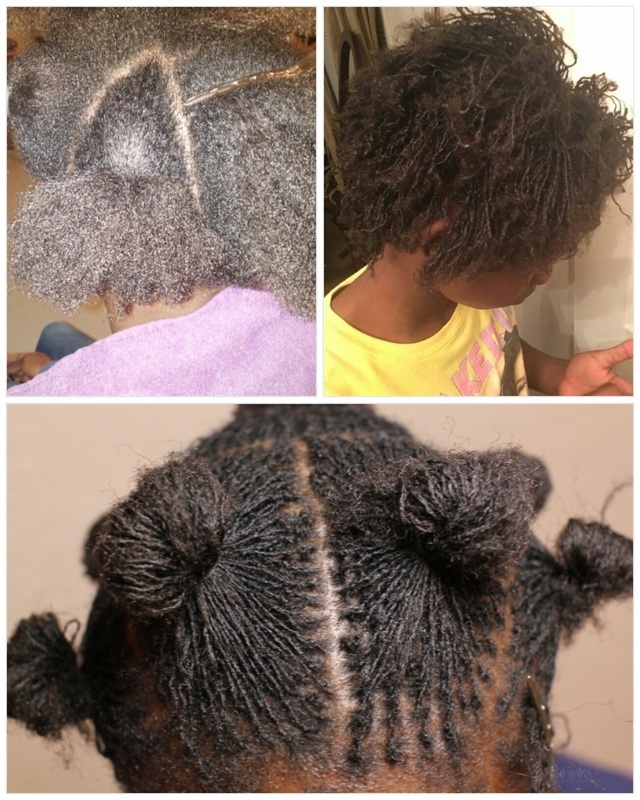 Good maintenance is the key to gorgeous Sisterlocks over time. 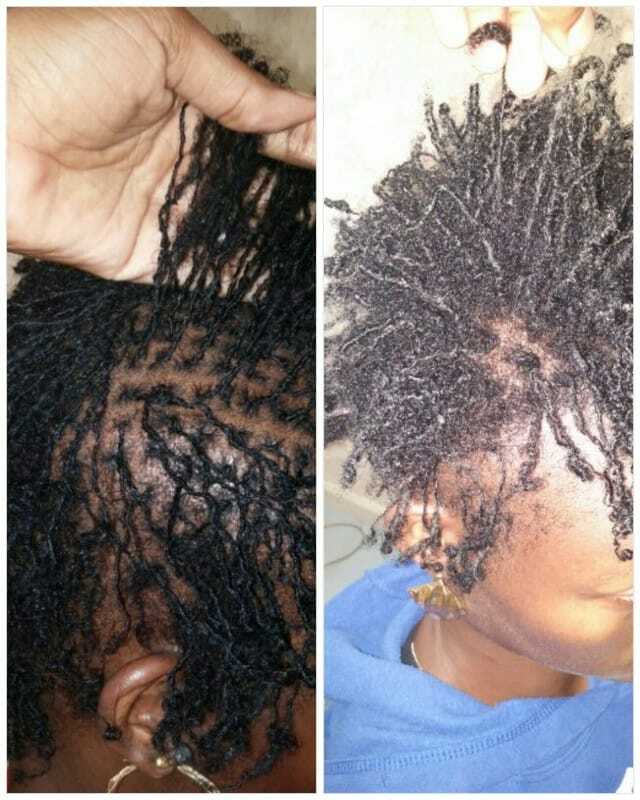 Your newly installed locs will be monitored to insure that they are forming correctly. 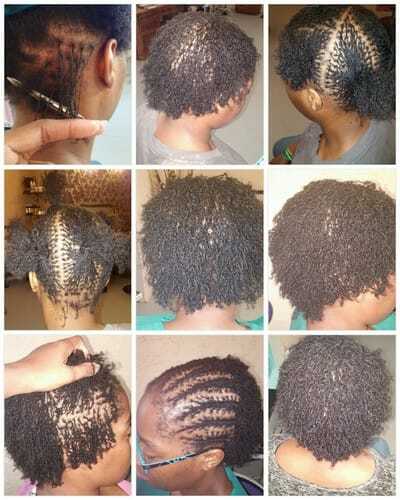 An appropriate retightening schedule will then be determined for your hair type and growth. 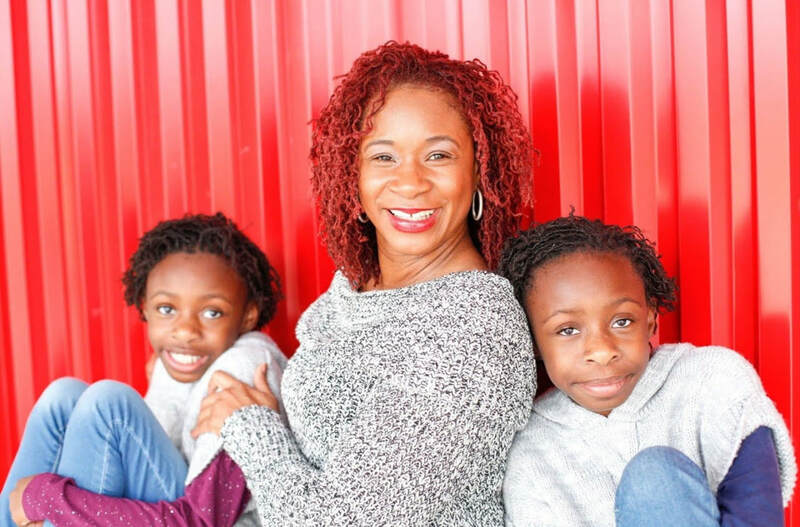 Your first follow-up is included in your 3 part sisterlock package. 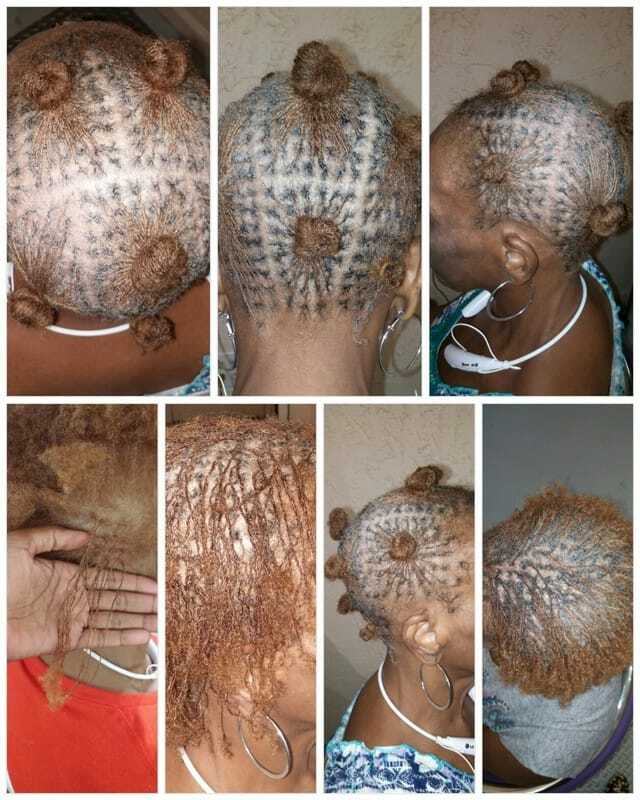 You will need to schedule your follow-up visit after at least two shampooings, which is usually within one month from the time you first get your locks put in. Your Consultant will monitor the integrity of your locks, tighten them up and give you an idea of how long the settling-in process is likely to take. You can also begin discussing styling tips for the 'total look' that's right for you!